4mm Banana Plus with deans male ultra plug on the end. 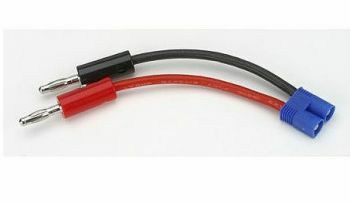 Great for charging packs with Triton, Ice chargers or any charger that requires a 4mm banana plug. 10a max rating.